VANCOUVER, BC – The winners of the 2016 edition of the B.C. 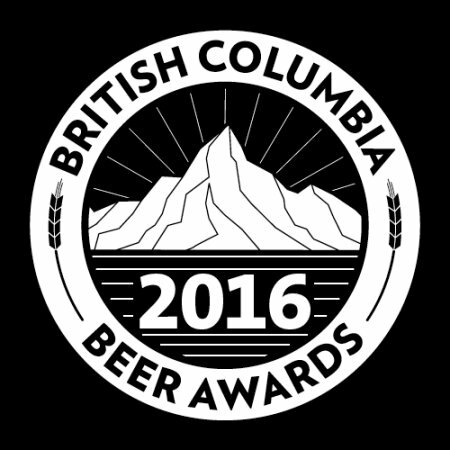 Beer Awards were announced this past Saturday October 15th during an awards event and B.C. beer festival at the Croatian Cultural Centre in Vancouver. 2: High Country Kolsch – Mt. Begbie Brewing Co.
1: Gladstone Altbier – Gladstone Brewing Co.
2: Vienna Lager – R&B Brewing Co.
1: Dark Lager – Steel & Oak Brewing Co.
1: Demimondaine Dunkelweizen – Barkerville Brewing Co.
3: Weizenbock – Steel & Oak Brewing Co.
1: English Bitter – Foamers’ Folly Brewing Co.
2: Red Devil Ale – R&B Brewing Co.
1: Clover IPA – Big Ridge Brewing Co.
2: Tall Timber Ale – Mt. Begbie Brewing Co.
3: Aethelred the Mild – Foamers’ Folly Brewing Co.
1: 52 Foot Stout – Barkerville Brewing Co.
3: 710 Oaked Stout – Faculty Brewing Co.
1: Roggen Weizen – Steel & Oak Brewing Co.
3: Sour Wheat Gose – Field House Brewing Co.
2: Jerkface 9000 – Parallel 49 Brewing Co.
3: Dutch Pale Ale – Field House Brewing Co.
1: Chase My Tail Pale Ale – Yellow Dog Brewing Co.
3: East Side Bitter – R&B Brewing Co.
3: Thirsty Beaver Amber Ale – Tree Brewing Co.
1: Bandit Brown – Foamers’ Folly Brewing Co.
2: Slipstream – Phillips Brewing & Malting Co.
3: Kim-Ach-Touch Ale – Tree Brewing Co.
2: Play Dead IPA – Yellow Dog Brewing Co.
1: 187 On An Undercover Hop – Parallel 49 Brewing Co.
3: White Gold Witbier – Barkerville Brewing Co.
3: Bizarro – Phillips Brewing & Malting Co.
1: Bodhisattva – Parallel 49 Brewing Co.